I just remembered I’d made some in 2012. It’s time to see how they went, plus make predictions for the coming year. Of course I failed to predict the biggest thing of them all: The hacking that made me throw in the towel on Sublime Oblivion (remember that? ), but with the silver lining that I could now split my blog between my interest in Russia and my interest in many other things. After all tying my criticism of the Western media on Russia with topics like climate change and futurism and HBD was never a very good fit. Overall I am very satisfied with the new arrangement. (1) Russia will see slight positive natural population growth (about 50,000) as well as significant overall population growth (about 400,000). Do bear in mind that this prediction was first made back in 2008 when a Kremlinologist who did the same would have been forced into a mental asylum. (2) The life expectancy will reach 71.5 years, the total fertility rate will rise to 1.8. The birth rate will reach a local maximum at about 13.3-13.5 (it will then remain steady for a couple of years, and then begin to slowly decline) while the death rate will go down to about 13.0-13.2). Net immigration should remain at about 300,000. 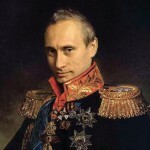 (3) Putin will not be overthrown in a glorious democratic revolution. In fact, things will remain depressingly stable on the political front. As they should! (4) Currently Russia is one of Europe’s most corrupt countries. While it’s certainly not at the level of Zimbabwe, as claimed in the Corruption Perceptions Index, it’s not like having the Philippines, Romania, or Greece for neighbors on an objective assessment is anything to write home about. I believe that Russia missed a great opportunity to undermine the rotten culture of official impunity that exists there by refraining from prosecuting former Moscow Mayor Luzhkov with his Montenegrin villa, billionaire wife, and his VP Mayor Resin who wore a $500,000 watch following his dismissal in 2010. Today a similar opportunity presents itself with blatant evidence of large-scale corruption on the part of former Defense Minister Anatoly Serdyukov and his female hangers-on (see the comments threads here, here at the Kremlin Stooge for details). There are conflicting signals as to whether charges will extend to the very top, i.e. Serdyukov himself. Having incorrectly anticipated a Luzhkov prosecution, I am now once bitten, twice shy. So I’ll take the lame way out and call it a 50/50. (5) Needless to say, the economy remains as uncertain as ever, and contingent upon what happens in the EU and the world. In the PIGS the economic contraction is finally starting to slow down, but Greece is something of a disaster zone, and Spain is raiding its pension fund to keep afloat. If this becomes unsustainable this year then the EU member states will have to make some fundamental choices: Fiscal union? Or its division into a “Hanseatic” core and Mediterranean periphery? Which of these three things will happen I find impossible to even begin to foretell… As applied to Russia, under the first two scenarios, it will continue plodding along at a stolid but unremarkable pace of 3-4% or so GDP growth; if things come to a head (as they eventually must) and Germany decides to toss the Latins overboard, then the divorce I assume is going to be very, very messy, and we can expect Russia’s economy to fall into recession. (6) No special insights on foreign policy. Ukraine may join the Customs Union; however, I suspect that’s more likely to happen in 2014 or 2015, as Yanukovych faces re-election and has to make a choice between continued prevarication between it and the EU, and encouraging his Russophone base. The creeping influence of the Eurasian Union will likely keep US-Russian relations cold; whatever the current disagreement that’s talked about (Magnitsky Act; Dima Yakovlev Law; Syria; Libya…) I lean to the “Stratfor”-like position that at heart the US just does not want what it sees as a “re-Sovietization” of the region – which the Eurasian Union is, in geopolitical terms, if under conditions much softer than was previously the case – and will thus be driven, almost by force of instinct, to oppose this trend. How did I do for 2012? Here is the link again. In short, this wasn’t the best year for my predictions. 1. “So that’s my prediction for March: Putin wins in the first round with 60%, followed by perennially second-place Zyuganov at 15%-20%, Zhirinovsky with 10%, and Sergey Mironov, Mikhail Prokhorov and Grigory Yavlinsky with a combined 10% or so.” I later ended up refining this, and running a contest. My predictions for the five candidates were off by an aggregate error of 14%. The heroic winner was Andras Toth-Czifra (who has yet to get his T-Shirt – my profound apologies dude, it will be done…) Half a point. 2. “I will also go ahead and say that I do not expect the Meetings For Fair Elections to make headway.” Correct, although this was self-evident to anyone not afflicted with Putin Derangement Syndrome (which admittedly doesn’t include 90% of Western Russia journalists). Full point. 3. Here I made general points that I still think fully apply. That said, my own specific prediction turned out to be false. “But specifically for 2012, I expect Greece to drop out of the Eurozone (either voluntarily, or kicked out if it starts printing Euros independently, as the former Soviet republics did with rubles as Moscow’s central control dissipated).” Wrong! I am perhaps foolhardy to do so, but I repeat this prediction for this year. I really don’t know why the Greeks masochistically agree to keep on paying tribute to French and German banks when they know full well they have no hope of ever significantly bringing down their debt-to-GDP ratio without major concessions on the parts of their creditors. Zero points. 4. Last year I made no major predictions about the Russian economy; basically, unexciting but stable if things stay normal – a downswing if the EU goes down, albeit not on as big a scale as in 2008-2009. I was basically correct. One point. 5. “I expect 2012 will be the year in which Ukraine joins the Eurasian common economic space.” Nope. To activate their Russophone base, they decided to go with the language law. Zero points. 6. “Russia’s demography. I expect births to remain steady or fall slightly… Deaths will continue to fall quite rapidly, as excise taxes on vodka – the main contributor to Russia’s high mortality rates – are slated to rise sharply after the Presidential elections.” Too pessimistic on births, albeit understandably so because Russia’s cohort of women in their child-bearing age has now begun to decline rapidly (the echo effect). Although ironically enough however I am one of the most optimistic serious Russia demographers. In reality, as of the first 10 months of 2012, births have soared by a further 6.5% (which translates to a c.8% increase in the TFR, bringing it up from 1.61 in 2011 to about 1.74 this year – that’s about the level of Canada and the Netherlands – while deaths have fallen by 1.5%, implying a rise in life expectancy from 70.3 years in 2011 to about 71 years in 2012 (which is a record). Most remarkably the rate of natural population growth is now basically break-even, with birth rates and death rates both at about 13.3/1000; the so-called “Russian cross” has become a rhombus. Still, considering that my predictions were basically more optimistic than anyone else’s (even Mark Adomanis’), I still feel justified in calling this n my favor. One point. So, that’s 3.5/6 for the Russia predictions. I will be very brief on the non-Russia related ones, as this is a Russia blog. 7. Wrong, Romney did not win LOL. Although later I did improve greatly, coming 12th out of 66 in a competition to predict the results of the US popular vote. I now owe a few bottles of whiskey to various people. 8. US did not attack Iran, but I gave it a 50% chance anyway. So, half point? 9. “But I will more or less confidently predict that global oil production in 2012 will be a definite decrease on this year.” Too early to tell. 10. “China will not see a hard landing.” Correct. 11. “Record low sea ice extent and volume. And perhaps 100 vessels will sail the Northern Sea Route this year.” More like 46 vessels, and completely correct on extreme new sea ice lows. 12. “Tunisia is the only country of the “Arab Spring” that I expect to form a more or less moderate and secular government.” I think that’s basically correct. 13. Protests will not lead to any major changes outside the Arab world – yes. 14. “The world will, of course, end on December 21, 2012.” Correct, we’re now living in a simulation, the real world having ended as I predicted.